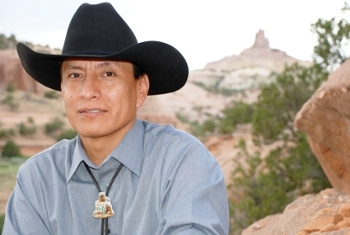 Edison Yazzie is one of the most well-known and talented Native American artists in the Southwest. He was born in 1964 to the Black Sheep Clan and Under Folded Arms. 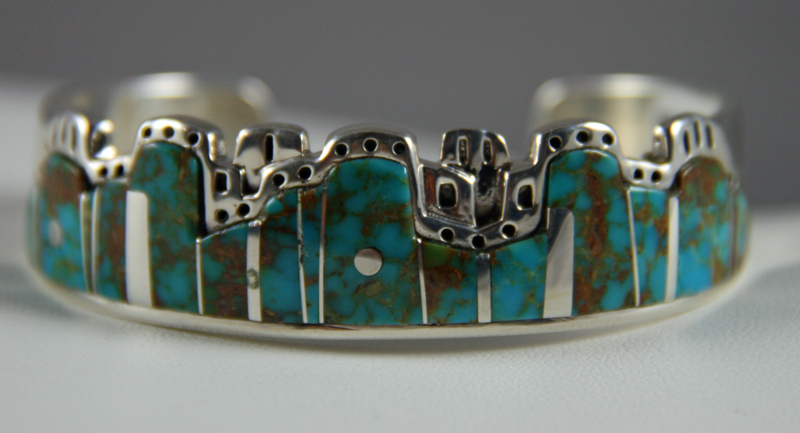 Edison's entire family is also steeped in Navajo artistic tradition. Edison was drawn to jewelry arts as a youth and has continued to perfect his style of geometric inlay for the last three decades. As a master craftsman, every piece that he creates has a traditional meaning. The colors and designs are carefully chosen to tell a story. Edison has enjoyed teaching other artists and passing on his crafts throughout the years, each of which carries on a piece of his personality in ttheir art. Sharing is a very important concept to Edison. 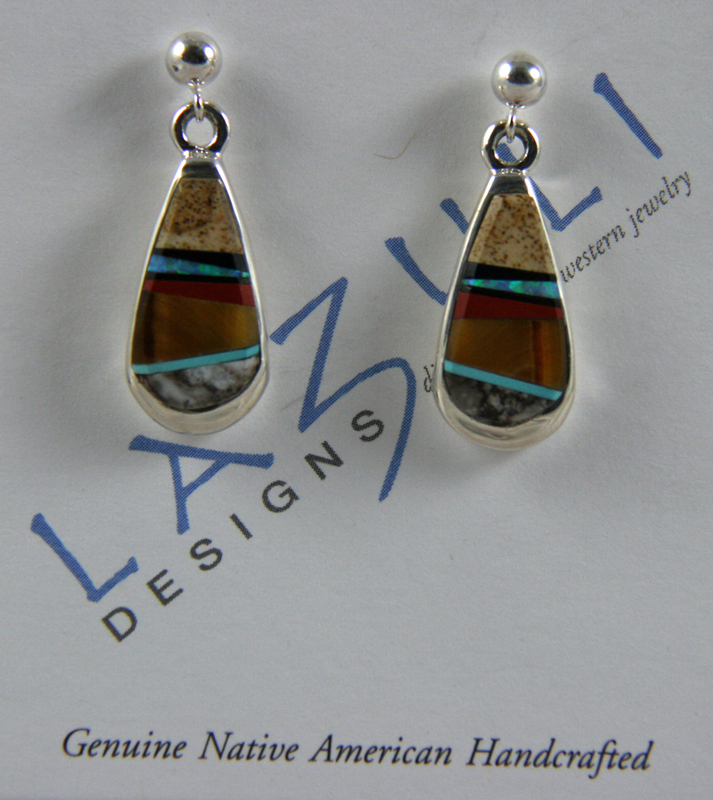 He takes great pride in passing on his belief in Navajo tradition. 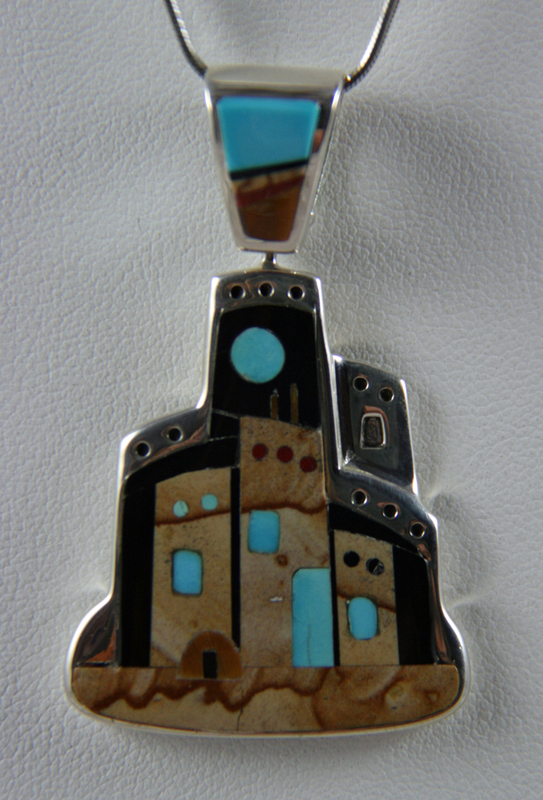 Each piece of his art reflects his personality, cultural heritage, and is a display of his life as a Navajo artist. He continues to create his unique inlay and is still discovering new ways to express himself through his art. I purchased these Edison Yazzie pieces from him at the Gallup Intertribal Ceremonial.